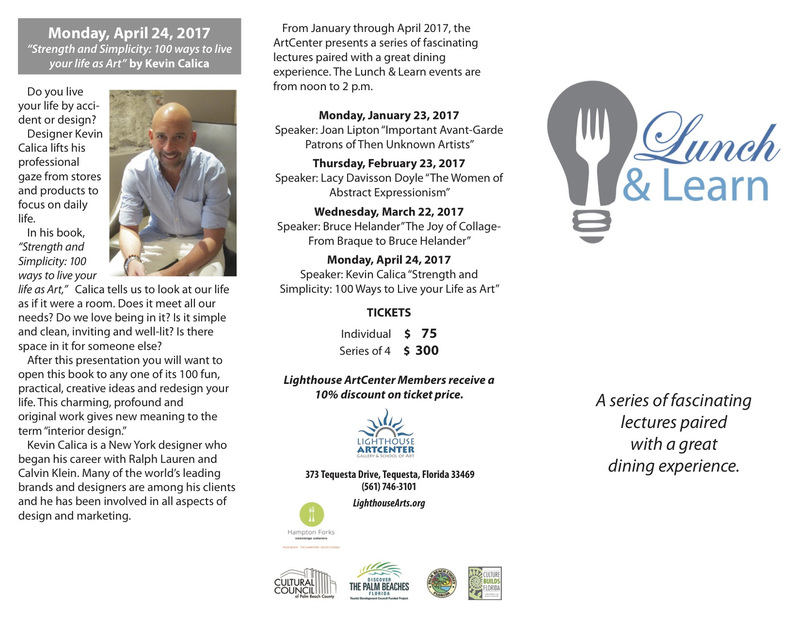 Please join us for a series of fascinating lectures paired with a great dining experience. Lacy Doyle will present “The Women of Abstract Expressionism”, an in-depth look at the work of Helen Frankenthaler, Elaine de Kooning and Lee Krasner. These three women were among the better-known women Abstract Expressionists and contributed outstanding innovation and experimentation to their creative process. 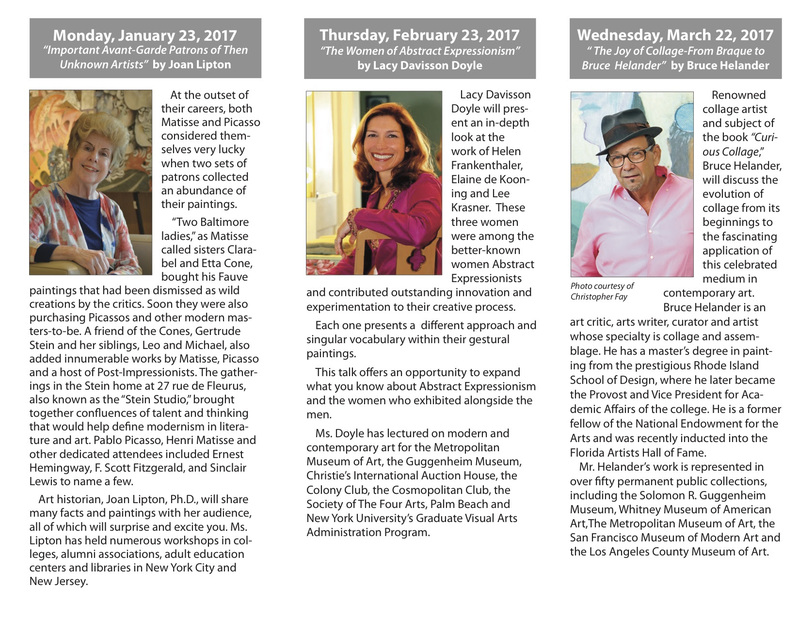 Lacy Doyle has lectured on modern and contemporary art for the Guggenheim Museum, Christie’s International Auction House, the Society of the Four Arts, Palm Beach, New York University’s Graduate Visual Arts Administrative Program, and the New York Academy of Art. Thursday, February 23, 2017 from noon to 2 pm.